I am posting a bit later today for Halloween. 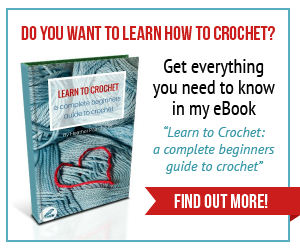 I want to share with you some of the fun stuff that we had going on. It always seems to be a day jam packed full of costumes, parties and trick-or-treating and this year was no different! 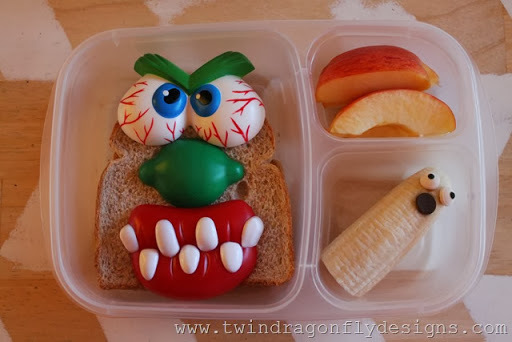 We started with a couple of super easy Halloween bento box lunches. 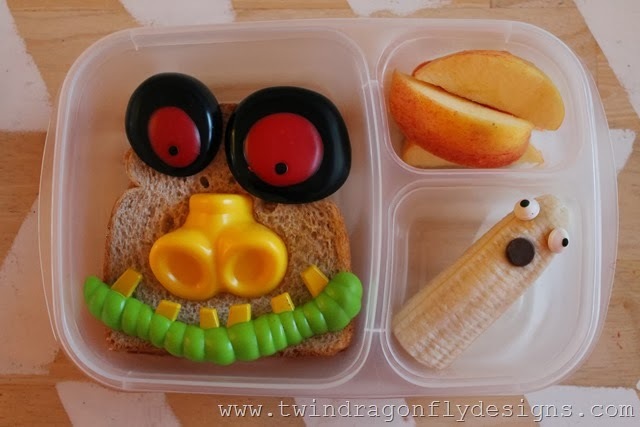 I simply added a couple of pumpkin decorating features to the boys sandwiches and created ghost bananas. I ran out of time for apple teeth but the intention was good. This was the first time that I was challenged to bring a treat for two entire classrooms! That’s forty-four little kindergartners! 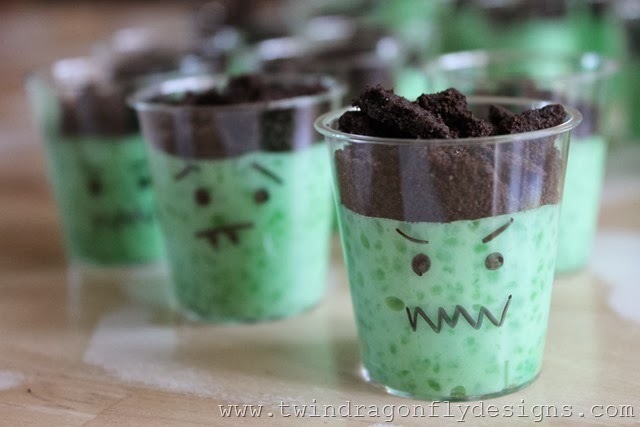 So I had decided a while ago to make these little monster pudding cups. I used tiny, plastic shot glasses knowing that kids tend to take one bite of something when at a party and toss the rest out. Our pudding was actually tapioca to accommodate a food allergy in class with cookie crumb topping for hair. These were quick, easy and fast to make and a hit with the kids! 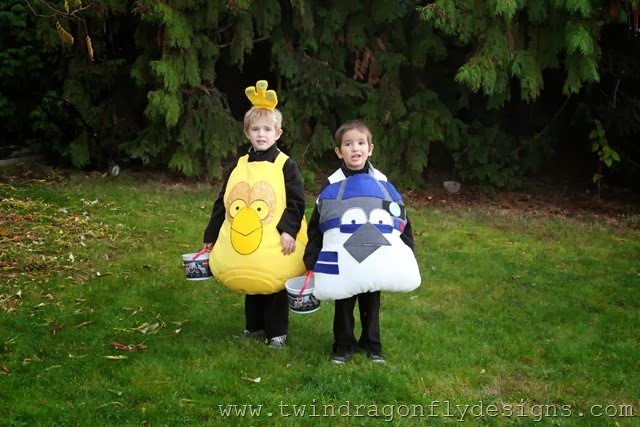 The boys really enjoyed their costumes this year and I loved that they were super easy to dress up and nice and warm! We had a rain storm just before trick-or-treating tonight but the rain broke and the sun came back out to reveal a double rainbow! It was a fun night visiting with friends and racing around the neighborhood. How did your evening go down? Truthfully I am glad that the craziness of October is over and CANNOT WAIT for the Holiday festivities to begin! 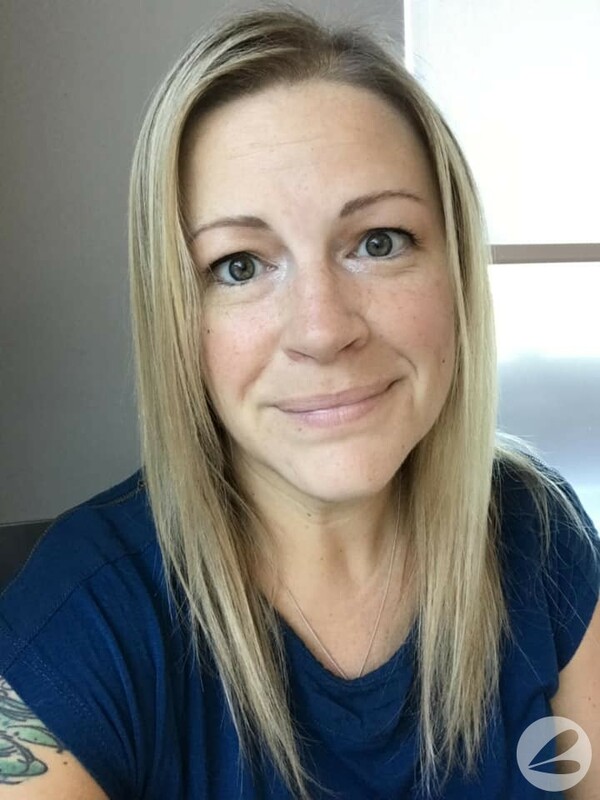 Stay tuned for a guest posting opportunity tomorrow.